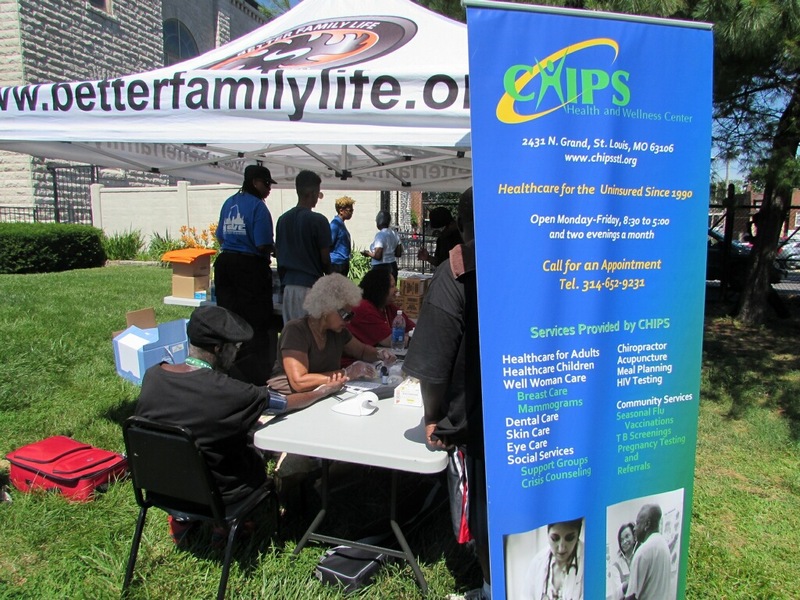 CHIPS' Health Care Beyond Walls program is a leader in the metro St. Louis area in community health outreach screenings and education. CHIPS community health nurses and outreach workers use a standard screening protocol and perform at least 5 different screenings (blood pressure, blood sugar, height, weight, BMI) and assess participants’ access to and use of health care services. CHIPS' community health nurses refer participants to services and follow up on any participant whose screening tests are out of normal range. CHIPS' community health nurses and professional volunteers provide education and counseling and materials for supporting the education clients receive. CLUB CHIPS - Community Youth Leaders United for Better Health is a year around youth leadership development and performing arts program that trains high school students to use artistic expression to promote awareness of health and wellness issues, increase health literacy and promote healthy lifestyles. 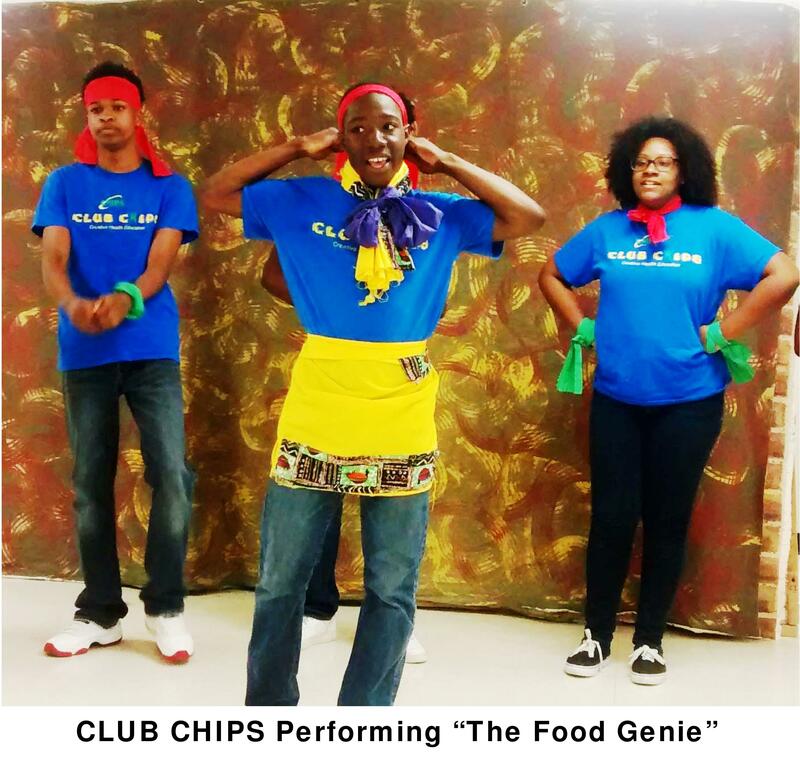 Click here for more information about CLUB CHIPS. DIABETES SUPPORT GROUP - CHIPS’ Diabetic Support Group has been meeting for over 8 years. People of all ages diagnosed with diabetes come together to talk about how they manage their diabetes, ask for help from each other, offer support to one another and enjoy the company of people who are living, working, and thriving. The group meets twice a month on the 2nd and 4th Wednesdays to share a light meal at 6:00 p.m. followed by a program that offers education, support, friendship and fun to anyone and their family members affected by diabetes. Click here for more information. CHIPS offers a free, evidence-based, and high-quality lifestyle change program to reduce participants’ risk of type 2 diabetes and to improve their overall health. A new lifestyle change group will begin soon. Click the links below for more information. CHIPS' clinical staff collaborates with several colleges and universities to provide intern opportunities for students under the supervision of a preceptor provided by the school. Contact the Director of Health Services at 314-652-9231 ext. 17 for more information.